This simple recipe is a family favourite. Duck livers are very cheap if you have a good butcher, or you save them up from the season. You’ll find they are a little more pricy in the supermarkets. Finely chop the onion and fry in a little butter, until it goes soft. Add the livers and fry until lightly browned on the outside, but still pink in the middle. Place the contents of the frying pan in a food processor. Add the zest from the orange and its juice, keeping one slice of the orange for a garnish. Blitz until the livers are a fine paste, and add at this stage any salt and pepper to season. Spoon into a mould – I use a small bread tin or ceramic terrine. Then melt the remaining butter in a saucepan over a low heat, separate the butter solids off and throw them away, retaining only the clarified butter. Place the slice of orange on the top of the pate and pour on the melted clarified butter until it just covers the orange slice. Leave to cool on the sideboard for about an hour, then place in the fridge to set for 12 hours. Now enjoy on a biscuit, toast or, if you are my father, with a spoon. If you like this post please vote for me at the national blog awards here to help put game in the spotlight. 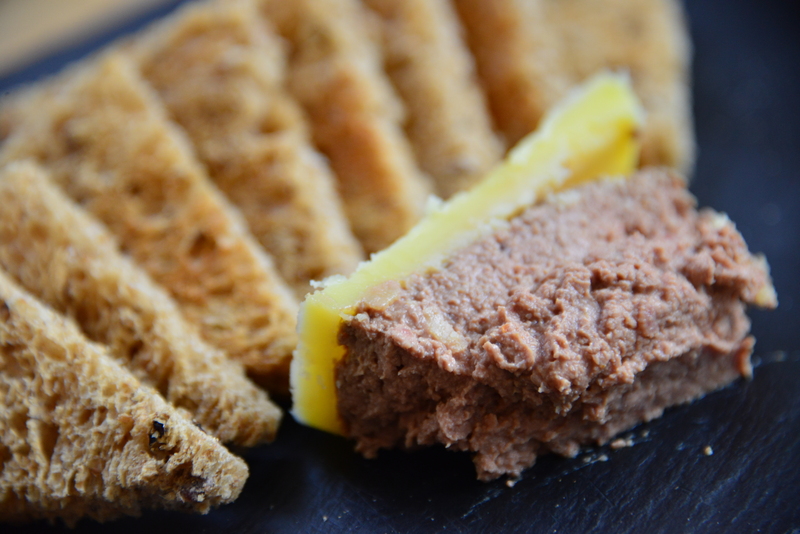 I love a good buttery pate – it’s one of my favs. I find it quite hard to get duck livers where I live but I make it quite often with chicken’s livers. Like the touch of orange in this – must give that a go. You can do this with any bird liver – not just duck. Utterly delicious.